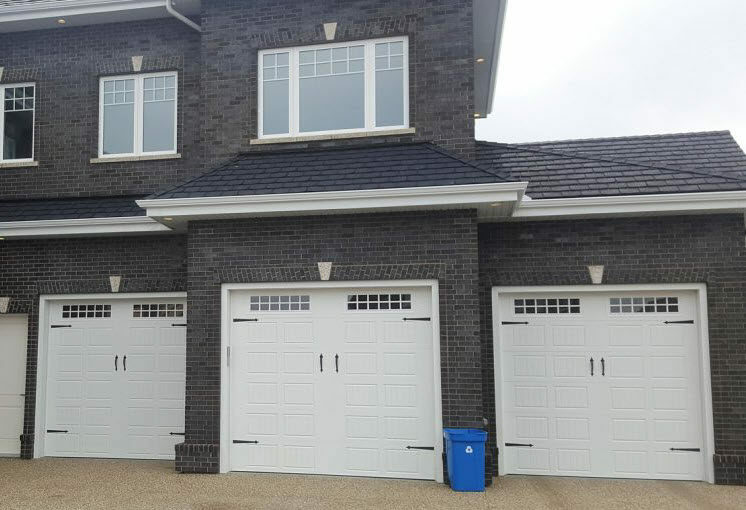 Here at Adore A Door, we know how important it is to have a reliable garage door that not only protects your possessions, but also showcases and compliments the architecture of your home. We supply a wide selection of quality garage doors at competitive rates. In addition to garage door sales, Adore A Door boast a qualified team of technicians that can help make the installation process a breeze. No matter what the size of your garage door, we have the perfect product for you. Need windows? we have an ample selection of window styles. Colour specific? We have your perfect match for this too! One of the most common questions that we receive is about insulation value. There are different insulation value options available to you in the form of “R-Values”. R-value refers to a measure of thermal resistance. In other words, this value determines how much heat/cold your insulation can block before it causes a change in temperature on the inside of your garage and interior of your home. Higher R-values most often represent more energy savings and offers a stronger exterior barrier. The two most commonly used garage door insulation materials are polystyrene and polyurethane. Polystyrene has been around for longer than polyurethane and as such, has been used more widely in the industry of garage doors. More specifically, extruded polystyrene foam is used in insulation. As an inexpensive insulator with good water resistance, polystyrene is no longer an industry superstar due to newer alternatives that make less of an environmental impact. This new alternative is called polyurethane. Polyurethane insulation has recently taken center stage due to its ease of use & high efficiency. Most noteworthy, pressure injected garage doors with polyurethane foam have R-values between R-12 and R-18. Adore A Door recommends basing your R-Value based on the climate in which you live. Milder climates can get away with lower insulation but should still have at least an R-value of R-8. Harsher climates with extreme heat and cold should have a higher garage door R-value . If you live anywhere in southern Canada, you can learn more about the recommended R-values for your environmental area by checking the energy code requirements that are calculated by the CHMC. Custom paint can come with a costly price tag and extensive wait times. Experience the Adore A Door difference. We offer extensive colour options- not extensive wait times. Offering a wide spectrum of shades, and high lasting paint results, we can have your door painted to suit your colour desires in 1/4 of the time it takes leading door manufacturers. Stand out from your neighbours! Ask our door consultants today for a list of our colour choices. We offer a rainbow of options.